The main change since the 7-month update, is that we’ve finally dropped the 5pm cat nap. We did this around 6 weeks ago, and it was a pretty easy transition to be fair. Rio settled into it pretty quickly, and unless he’s had a short lunch time nap (which does happen from time to time), he just gets a bit agitated towards the end of the day, in which case I just have to feed and put him to bed 30-60 minutes earlier. The other main change to these last few months, is more flexibility overall. I used to be clock watching every minute with his routine (which was more to do with me wanting to have some kind of control over such a new situation). Now that I’m feeling more comfortable and experienced with everything, I have definitely become way more relaxed and chilled out, and I don’t stress about having to feed or put him to sleep bang on time (hence why I have listed a bit more approx times below). 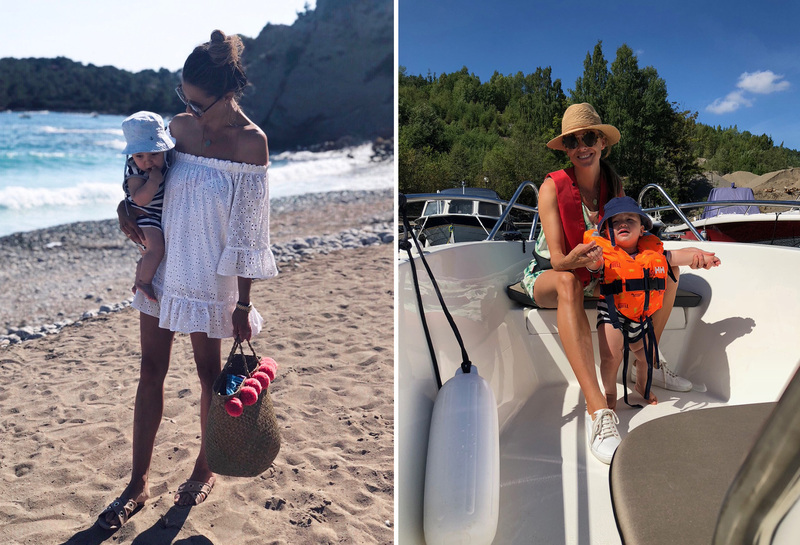 I think this also has a lot to do with being on a few holidays recently, where I’ve really had to go out of routine; and realising that everything is still totally fine, with Rio jumping back into his schedule, just as fast as he came out of it. Lastly, I mentioned in my previous update that I was planning on cutting out the 11am milk feed eventually, but as it stands, he still wants it (he’s a growing boy! ), so the feeding and solid amounts have stayed the same as last time: 4 milk feeds and 3 solid meals in total every day. 9-9.30am – Sleep (anything from 45min – 2 hours). Nursery or out and about. 13pm – Sleep (anything from 45min – 2 hour). Ideally in his nursery. 6pm – Light play time in his nursery, with nappy free time. Followed by bath time & baby massage. The next step is making the lunchtime nap his main nap, aiming for the full 2 hour sleep – and cutting down on the morning nap (from 1-1.5 hours to less than 1 hour). I am not forcing anything, and hoping (fingers crossed), that this will be a natural progression. Then eventually, I am hoping that the 11am milk feed will go in the next few weeks, moving down to just 3 milk feeds a day (this doesn’t include the occasional night feed). I’m not going to lie, I used to get so frustrated, angry, envious of other mum’s and their babies who slept through seemingly every single night, but I’m just so over this now. I know things could be so much harder (having hourly wake ups), and most nights it’s only a quick 10-15 minute feed once a night (which is totally doable), or if we have enough energy during the night, we shush pat him back to sleep again. On our recent two holidays, it’s been a different story altogether though. I’m not sure if it’s being in a new cot, the weather, or him being in the same room as us, or just being out of his regular routine (being put to bed much later), but it’s been more like 2 (sometimes 3 wake ups), and we’ve come back from the holidays absolutely broken. Fortunately both holidays were with family, so we’ve had lots of help during the day time (thank god for that), but we certainly didn’t come back rested! I used to be very vigilant having a more ‘controlled crying’ approach during the night, which did work at the time. But during this intense heat, recent holidays (with him sleeping in our room), growth spurt and all his teeth (as well as knowing we’ve hit that very common 8-10 month sleep regression) – I’ve been a bit more relaxed about things, and just topped him up a bit during the night, to get him quickly back down to sleep. I am fully aware that he doesn’t really need this feed, and it’s mainly just for comfort, so the next step this month, is cutting this out… Wish us luck! If I’m able to, I would like to exclusively breastfeed for at least 12 months (and longer if I can). When he’s 12 months, we also have the option of moving straight over to cows milk as an alternative too. When that said, I’m not putting any pressure on myself, and we’ll just have to see what happens. Fortunately, Rio likes his food! And has had a huge variety so far, from various meats, fish, grains, starch, fruits, vegetables, dairy, good fats… Although he’s not a fussy eater at all and tends to eat whatever I give him, he’s quite a slow (and messy) eater, who gets restless if he’s in his high chair too long, so sometimes it’s not always the most relaxing of meal times. Most of the time, however, he’s pretty easy, and I’m just grateful that he’s not fussy (yet!) and has a good appetite. 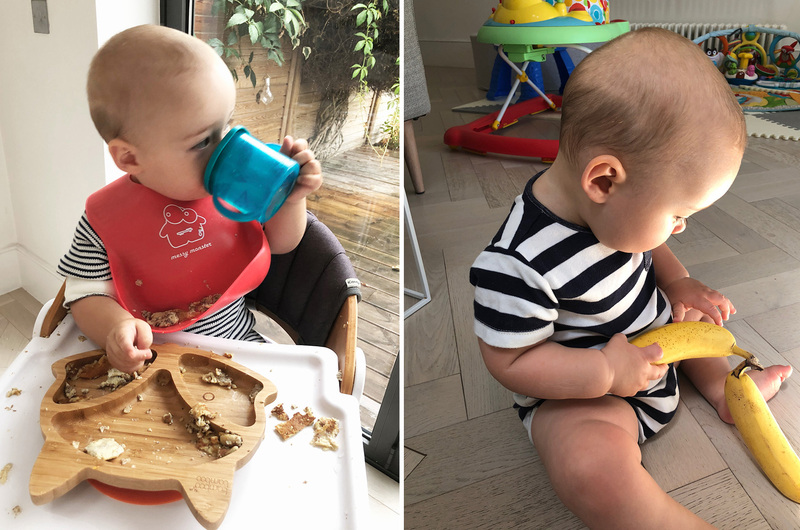 As I mentioned last time, my plan for weaning was a more balanced approach: a mixture of spoon feeding and baby led weaning. My original plan was solely baby led, but I discovered quite quickly that I didn’t have the patience or stamina for all the mess, the worry of him choking, not knowing how much he was consuming, etc… So from the start I’ve just been spoon feeding (always more chunky than smooth) as well as giving him lots of different finger foods to chew and hold onto whilst I’m feeding him. 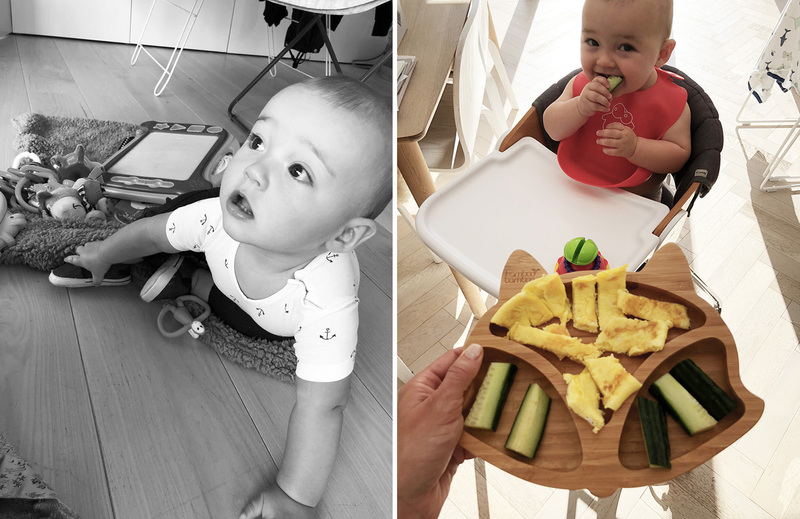 A few weeks ago, I started trying to just do baby led, giving him scrambled eggs, banana pancakes, sandwiches etc., and although he managed to grip and consume a lot of it, there was a lot of throwing around and playing with the food, so there’s a lot of practice (and patience) to be had going forward! He’s drinking from his sippy cup on his own (he loves water) and can hold a spoon (most of the time), so the next steps is just to continue introducing a more baby led approach. Where do I start? Rio is now crawling, which he has been doing for the past 4 weeks, and is pulling himself up, standing for long periods of time. You can see he is desperate to walk, but I think we’re a good while from this yet. A few weeks ago, he started clapping and waving (and now can’t stop doing it) and is talking lots (he is saying ‘mama’ quite a bit, but I doubt he really knows what he’s saying or that means – I can only hope!). Generally, he’s a super active, incredibly strong and active boy. I never sit still when he’s awake, and with him being quite heavy, it’s a work out in it’s self to look after him. When that said, the fact that he’s so happy and content nearly all of the time, makes up for all the running around with him! Because let me tell you this, the crawling is a game changer. 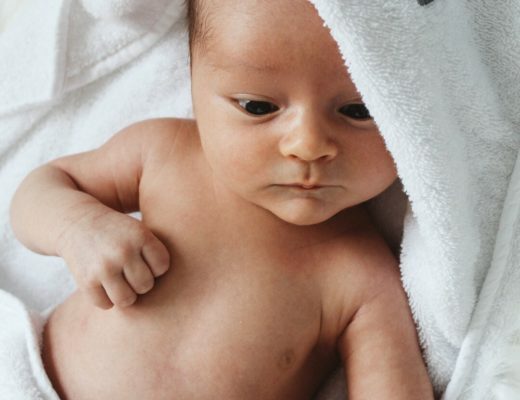 He was one of the first to crawl in his baby group, and although everyone else thought it was great, I was quite stressed about it, as I knew I had lost some of my freedom (whilst frantically having to baby proof the house!). Within days of starting to crawl, he was speeding around and climbing on top of everything! And to be honest with you, although it’s tiring, it’s been so much fun seeing him develop. He’s so much more content with this new found freedom, and is such a little curious boy. 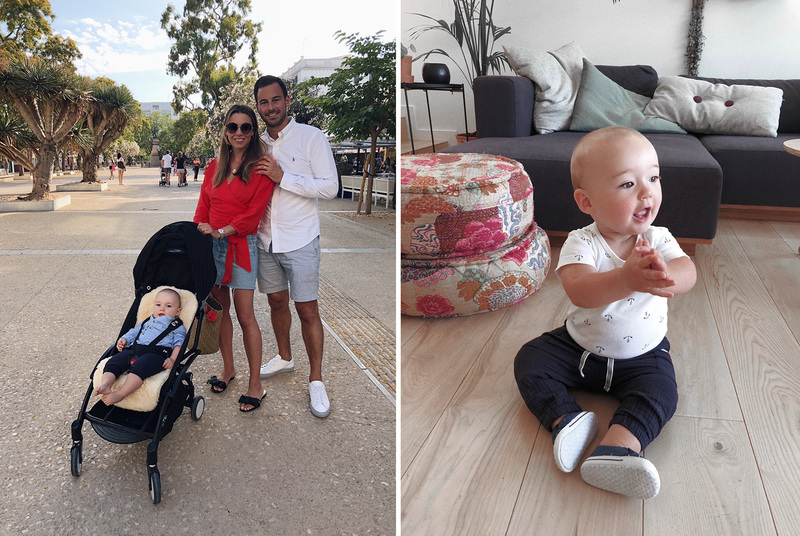 His personality has really come to life these past few months, and although everyone say they miss that precious newborn stage, which I loved too, it’s so much more rewarding at this stage, when he fully recognises you when you come into a room (and cries when you leave the room! ), reaches for your arms, cuddles and smiles (so much more knowingly). Reading books to him has not been easy, as he always wants to hold them himself (and chew them), so I will be persevering with this over the course of the next few weeks, as I have (finally) started reading to him in Norwegian. I get a lot of questions about if I speak to Rio in Norwegian, and so far I haven’t really. I know this sounds bad, but from the start, it never came natural to me, especially as Sam doesn’t understand it and the fact that I live in London, all our friends are English, all our classes are in English… However, I have started a bit more in the recent few weeks, and the plan is to read to him in Norwegian and have all our cartoons/TV/radio on in Norwegian, and then hopefully start introducing it to him more and more. In terms of classes, we’re still doing our weekly sensory, music and swimming sessions, and stay active with weekly play group meet ups, so he’s getting lots of interaction with other baby’s (which he loves). I get a lot of questions whether I will be putting Rio into a nursery soon, and the question is no. Not yet anyways. As I’m so fortunate enough to be self-employed and manage my own time, I have decided to look after him most of the time myself, and our nanny will start in September, working 1 1/2 days a week, which will give me a little break to catch up on work and general life admin. I have to admit, I was initially concerned that Rio might be missing out on that all important early independence and play time with other babies – but as I’m so active with all the classes I take him too, along with the play dates, I feel like he will have enough interaction from that – and then we’ll just have to see what happens in the future, in terms of a nursery. 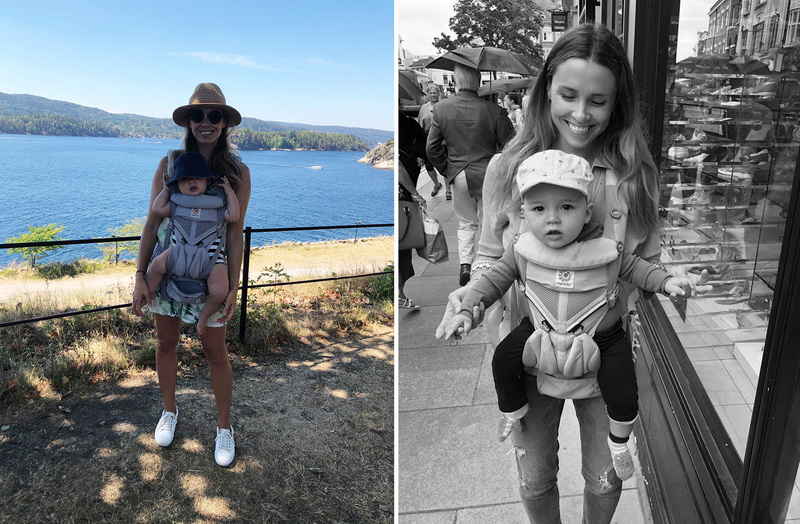 So far I have mainly just been sharing all the Rio updates on here, but probably not enough about how I’ve been doing! So I thought going forward, that I would start adding in a section at the end every month, with my general well-being, feelings and general health updates. These past 9 months have been hard – physically and mentally, there’s no denying that. There’s been a lot of downs for me, but also, so many ups. I have fortunately never struggled with anxiety in the past (although I have suffered from a handful of severe panic attacks since my teens), but other than that, my general mind and well-being has always been pretty stable. 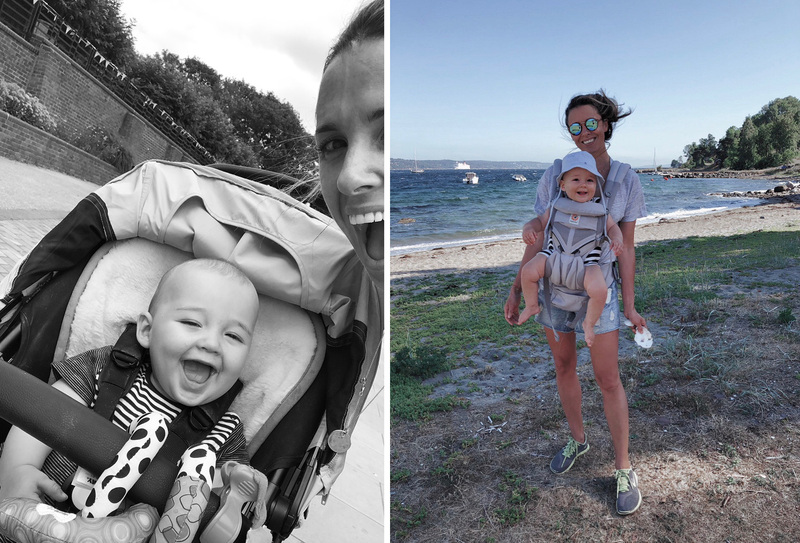 However after having Rio, I have been definitely been suffering from some mild form of anxiety, which I know is to be expected entering motherhood for the first time (or even if you’re on your second or third). 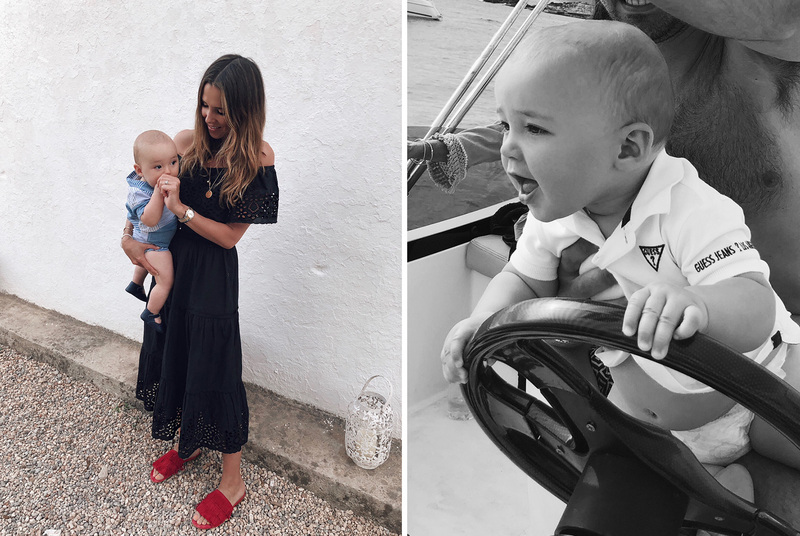 The first few months was all about keeping my head over water – surviving on minimal sleep, staying on top of the on demand feeding, worrying about if you’re doing everything right, and so on. Then it was creating and establishing a proper routine and starting with sleep training. 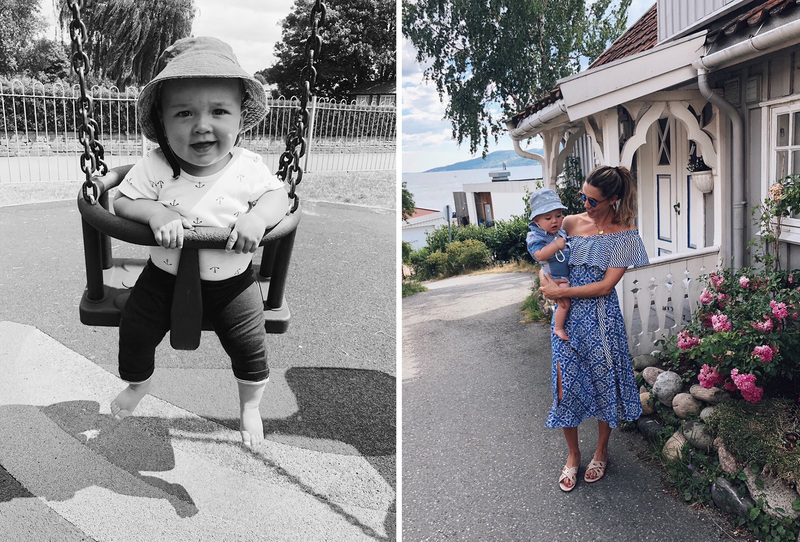 Then there was the teething, sleep regressions, growth spurts, weaning, new schedules being established… The list goes on and on. And all of this while making sure your baby is getting enough stimulance, growing at the right speed, doing all the the things a baby is ‘supposed’ to be doing at the right time, eating and drinking enough… One thing is for sure: nothing can ever quite prepare you for motherhood and all that comes with it! Of course, there are so many joys with it too, and now that he’s more active and alert, it’s also so much more rewarding. These past few months, I have generally been feeling a lot better with myself though, and that I have a bit more control over things. 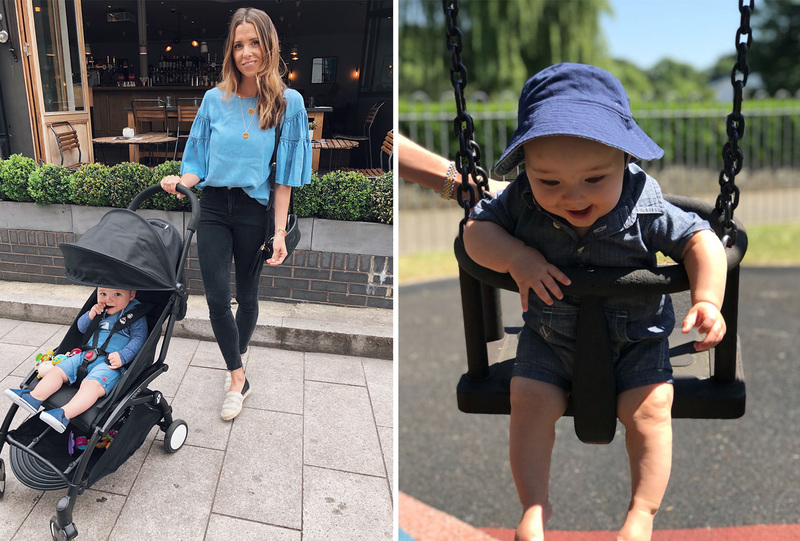 Even though I decided to introduce a routine pretty early on at 7 weeks (which was mainly to regain some kind of control and know what I was doing every day) – I’ve now finally come to a stage of being a lot more relaxed about things… One of those things are just getting out and about a lot more. Even if that’s just jumping on public transport (although I still hate this), flying with him (he’s done 10 flights already! 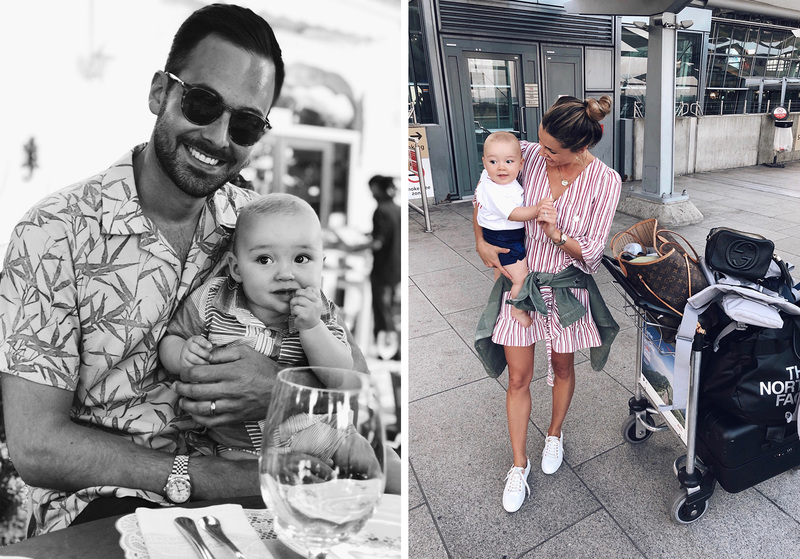 ), bringing him with me to restaurants and cafes… I know this might sound silly, but if you’re a new mum, you’ll know what I’m talking about! I guess I’m also quite spoilt with where I live and that I have everything on my door step, meaning I haven’t really had to go far to grab a coffee, pop to the shops, meet with my local friends, etc. I’ve basically been hibernating (and loved every minute of it). When that said, I’m excited about our new nanny starting soon, giving me some freedom to pop into town, and slowly get back into work. I’ve also started with acupuncture again, which I’m so happy about. 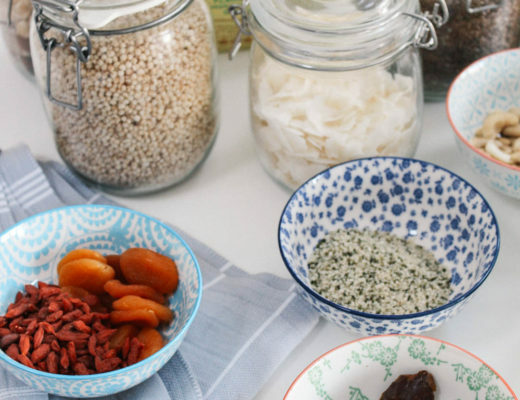 I’m seeing someone local on a weekly basis to get more balanced, regain harmony in my body post-pregnancy, work on getting my cycle back (although this will take time as I’m still exclusively breastfeeding), help with my sinuses, and bruxism (the latter is something new and no doubt linked with the stresses of motherhood). I’m still going to the gym on a weekly basis, which has been so great for my mind. I try to do two yoga sessions a week and then some light cardio and free weights. I might start to see a PT as well, to help strengthen my core and back, as it still feels really weak. A lot of you have asked what type of work out brands I love, and if you hadn’t already noticed from my Instagram, I’m obsessed with Sweaty Betty and Lululemon. I can’t live without these Sweaty Betty pants, this gorgeous black hoodie and this perfect t-shirt – and these super flattering Lululemon leggings. Lastly, I have mentioned before that I’ve suffered from facial pigmentation for a few years (a combination of hormonal and sun damage). I was concerned that it would get even worse during pregnancy, and sadly it has. It doesn’t really matter how vigilant I am with my skincare and that I wear SPF50 every day all year around, the damage is done. So I’m very excited to start my first week of treatment this week with Jasmina Vico. I saw her a few years ago, and the result were incredible. As I’m still breastfeeding, we can’t go full force just yet with the treatment, but we’ll do as much as we can. I will keep updated with the result! Please leave a comment below, or drop me an e-mail, if there is anything else you would like me to cover in my next update! You have to tell me what dress you are wearing ( i think the 3rd photo) stripy pink color.